Will not be sold in RHD. First shown as a concept at the September 2013 Frankfurt Motorshow, the 2015 Renault Espace is revealed as a full production model at the Paris Motor Show in October 2014. 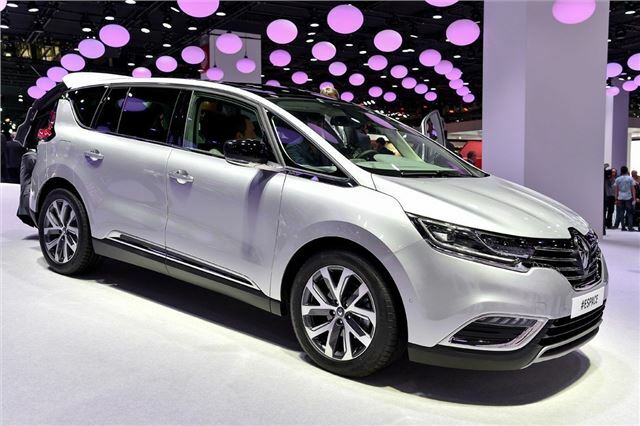 It retains the Espace virtues of being large, elegant and innovative, slightly bigger than the Galaxy and Sharan. 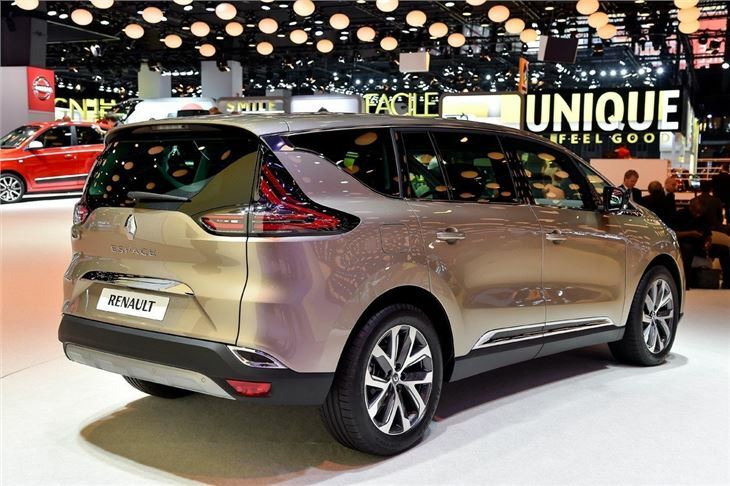 Like previous generations of Espace (a model range that first appeared 30-years ago) a brightly-lit, comfortable, and occupant friendly cabin with 'floating console' complement the fluid lines of the new car. Both five-seat and seven-seat versions feature ingenious interior modularity and meticulous attention has been paid to detail with regard to the new car’s design and build.